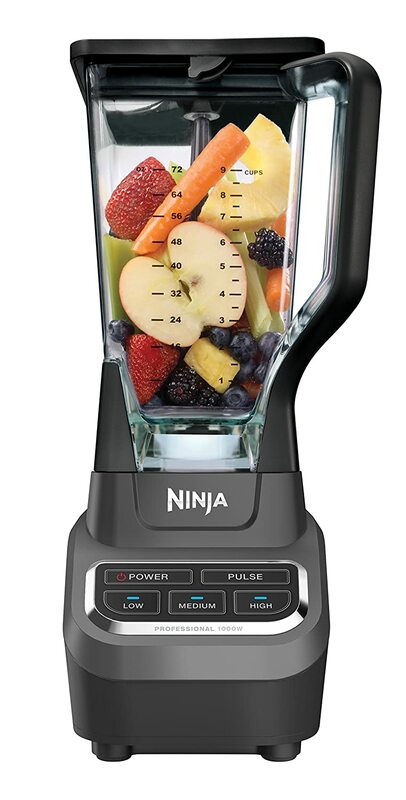 If you are following a Whole Food Plant Based diet and in search of a blender, or you following any other type of diet but you are in search of a blender then you may want to read my review of the Ninja Professional BL610, NI600, BL660 and BL740. Ninja has several types of blenders in the market from small and personal blenders to professional blenders. The models I will be reviewing today are the professional blenders. The price is quite reasonable and if you were looking at the top benders in the market like the Blendtec and Vitamix and thought you could not afford them, then perhaps this Ninja Professionals will meet your needs. If you are following a Whole Food plant based diet, or any diet, a blender is not a must, but it really helps to be able to prepare things from scratch. But will the Ninja Professional Blender meet the needs of a whole food plant based eater? Read this review to find out more. I will be reviewing all 4 models today. They are very similar. So if I do not mention a model then I am referring to all of the models. This blenders are very similar. The BL660 and BL740 are a bit more powerful and they come with individual serve cups as well. If you are looking for a smaller Ninja Blender, like the one equivalent to the Nutribullet then you can check my Nutri Ninja Auto IQ Review. It is a smaller blender, but still powerful. 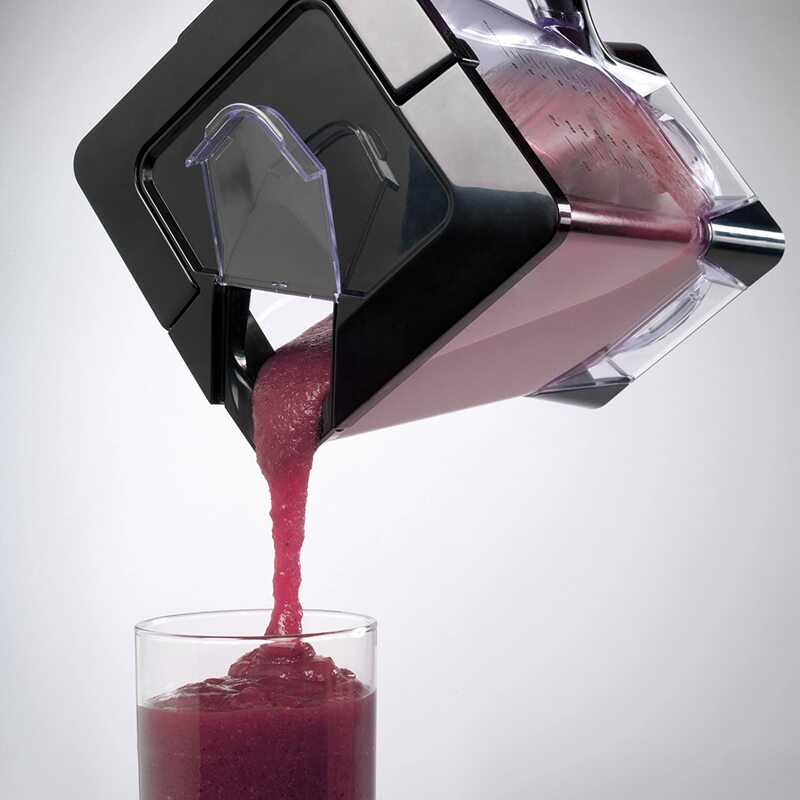 Total Crushing Technology that crushes ice, frozen fruits, vegetables in seconds! 72 oz. BPA free jar with measurements for every 8 oz. When I started reviewing this blender I thought this was a great idea for people that cannot afford the more expensive options, like the Blendtec or Vitamix blenders. 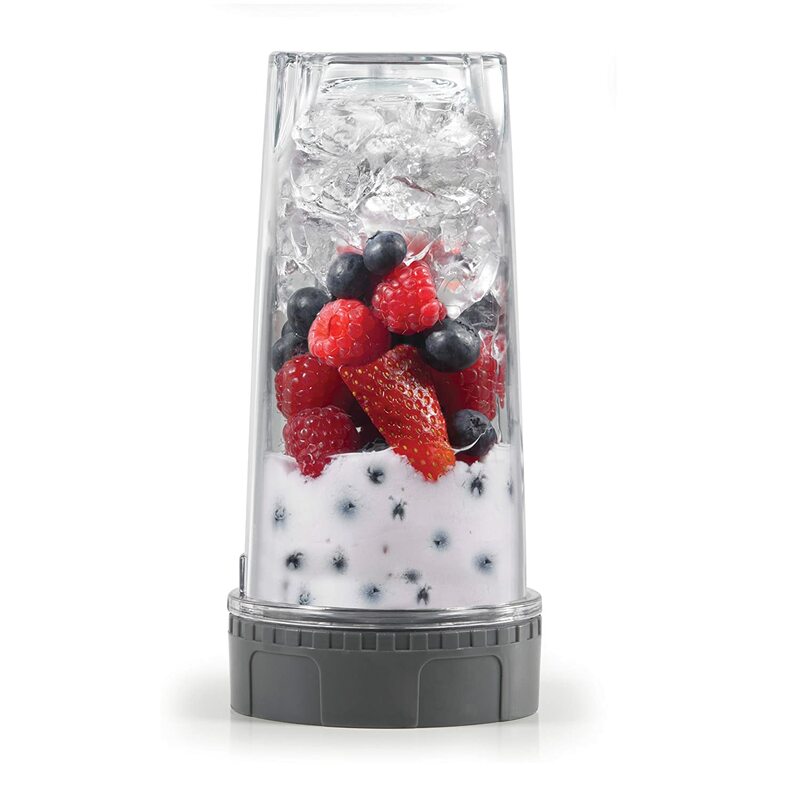 It is actually a great blender, and many people are very happy. This is a sleek countertop blender, and quite a large one, so it might not fit under your u counter. Some people mentioned it was half an inch too tall for their counter. What I like of this blender are the blades. I like that you can remove the blades from the jar, so you can scoop easily everything out of the jar. But this blades has some negatives also. First you need to remember to take the blade off before emptying the jar, otherwise the blades will fall as you try to pour the content out. The blades are also a bit big, since they have 3 levels of two blades each. This can make a bit difficult to put the ingredients in the blender. Like when you adding spinach or kale it might be a bit difficult to get everything in, since the blades take quite a lot of space. The Ninja Professional blender has many features of the big blenders but at a quarter of the price. So if you were not prepared to spend a large budget on the Blendtec or Vitamix, you can read this review and see if this blender will suit you. As I always reiterate in my reviews, before you buy a blender you need to be clear on the use you want to give to the appliance. 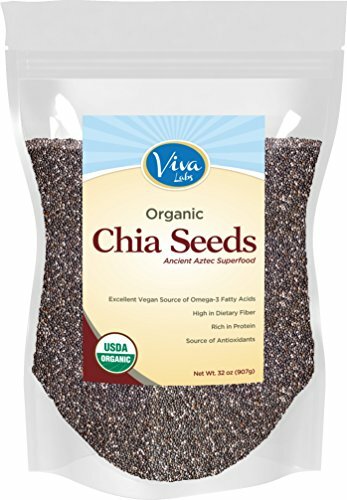 Some reviewers said that it has a hard time pulverizing kale and greens. I do not expect this to perform like the more expensive blenders. You should always put spinach and greens first after the water. Add the harder ingredients at the end. Not many reviews talked about processing nuts, but according to the manufacturer this blender can handle nuts milks and nuts butter. All models come with a 72 oz BPA free Jar. This is a plastic jar. The jar has measurements marked on the sides. The measurements are marked in oz, litters, and cups sizes. The design of the jar is square . It also comes with a lockable lid. The lid has a locking mechanism. To place the lid on, you need to hold the handle straight and once the lid in place you need to lock it. The unit will not work unless the handle is locked. The power button will blink in red till the lid is on. To place lid on jar , hold handle in vertical position. The lid and jar have arrows that need to be aligned. The pouring spout needs to be opposite to the jar handle. Once lid is in place set the lid handle on the side till lit locks. To open lid, need to press n release button (on the lid) and set handle on a straight position. Pull from the handle to remove lid. The lid process, opening and closing it, is a bit user unfriendly. You need to remember all these things. The lid comes with a pouring spout and a lid. 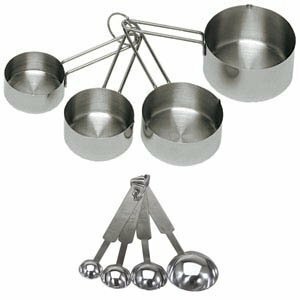 You can also use this to add more ingredients while blending. The pouring spur is not large, so you might need to remove lid completely to add things. This means you will need to stop blender to add ingredients . The jar comes with measurements on the side. The measurements come in oz, ml and cups. To place jar on the base you need to place jar on an angle and then turn it left in such a way that the measurements remain at the front. This is easy but it can become cumbersome for some people. The jar is not heavy. It is also dishwasher safe. The BL660 and BL740 models have 2 single serve cups. The size of this cup is 16 oz. They also have a to go lid and a single serve blade assembly. The single serve option is quite good, as sometimes you only need a smaller jar to do smaller batches. The Ninja Professional BL610 and NJ600 comes with 1000 watt motor. The BL660 and BL740 com with a powerful 1100 watts motor. 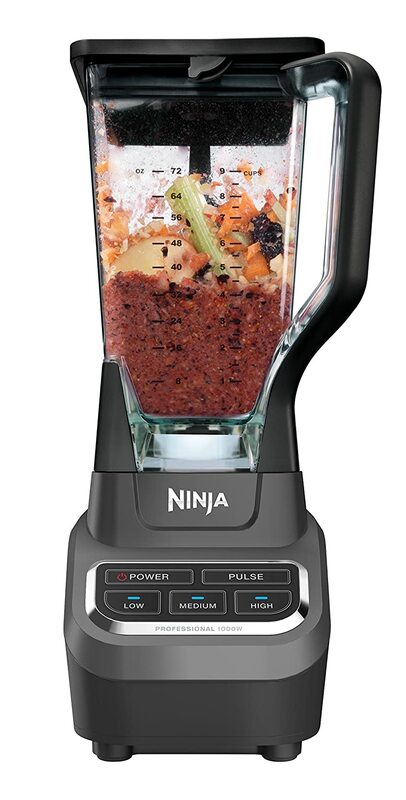 All Ninja Professional Blenders come with an electronic control panel. They all have three speeds plus pulse option . In addition the BL660 and BL740 have the single serve option. The controls are quite easy to use. Very clear, few options and you do not have to think too much as to what to press. pulse: Controlled chopping and processing Use to control chopping and processing. The blades are the Ninja 6-blade. It has three different levels, so it can reach to all ingredients. It is stainless steel and it is removable. The removable blade makes it easy to get everything out of the jar. When you finish blending, remove blade carefully and then you can have access to the bottom f the jar. The problem is that if you forget to remove blades, and they are not locked the blade will fall off when pouring out the contents of the jar. The blades are a bit bulky so it might be difficult to add ingredients like greens on the jar. The jar will be quite full. Try to add greens at the beginning after the water . The blades slice very well through large foods. Be careful that blades are very sharp. 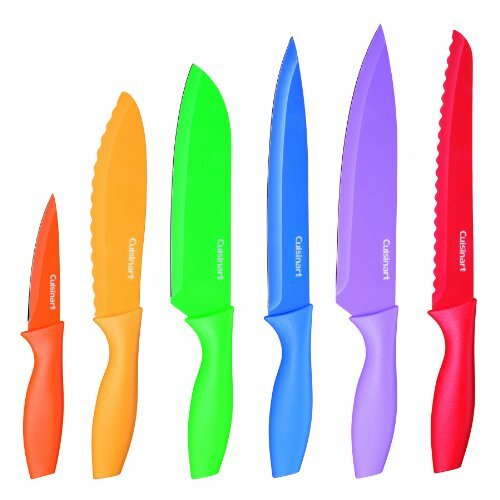 One negative of the blades, they are moulded into a cylindrical shaped spindle made of plastic. The plastic interacts with your food and also after blending hard things, it might break and you might find plastic in your food. But it is also easy to wash by hand. Add warm water to jar and a drop of dishwasher liquid. Pulse or blend. Rinse jar. There has been a case of a pitcher melting in dishwasher. I cannot comment on this. But being the pitcher so large, I would definitely wash it by hand. There seems to be another model BL660W and I will update this review once I find more. This seems to come with a 40 oz processor pitcher and a 40 oz processor blade. I need to confirm if these accessories will fit the other models reviewed in this post. All parts can be bought form the manufacturer site. The blender might not fit in all under counter kitchens. It is half an inch too tall. The power cord length is 2 feet. The unit has a power cord storage at the back, but not very easy to use You need to push the cord in. Might not fit under the counters. The pouring spout is not big enough to pour or to add more ingredients. Results vary depending on ingredients added. Sometimes is not too smooth. Chopping can be uneven and if you pulse too much results will be more liquid than desired. When reviewing an appliance I do not always have access to the appliance. I rely on other customer reviews and on information from the manufacturer. I also review form the point of view of a whole food plant based eater. We don’t necessarily need a blender but it makes life easier. We want the option of doing green smoothies, and we want the option of being able to process nuts and making our own nuts milks , or grinding grains to make flour. But obviously there are people that use blenders only for making shakes or making fruit smoothies, or margaritas. 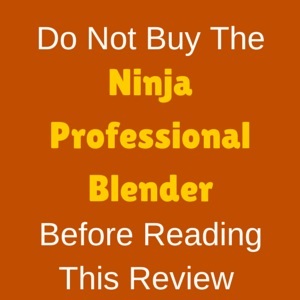 In this case this blender had many positive reviews. It is a powerful blender. Some people love the Ninja blades because they are removable and easy to clean, whilst others hate it because you cannot put enough ingredients, or you need to cut the ingredients. For some people the smoothies were smooth enough, and for others the greens did not get liquefied enough. So my rating for this blender is 4.0. I believe it is a good blender but for the same price or less you can get other ones that do more and better work. The price of this blender is reasonable. It is quite affordable compared to the higher priced blenders. On the other hand it cannot be compared to the higher end units. ‘You also get free shipping if you buy from Amazon. Based on the reviews I researched this is a good blender. The ratings show it. But if I want something to last me long and be very versatile I would consider other options. There are cheaper options that wall give the same results as the Ninja Professional. On the other hand, you could keep your money and save for a unit that will last you longer and that produces better results than this one. Look at my other blenders reviews to see if you find something that matches your needs.